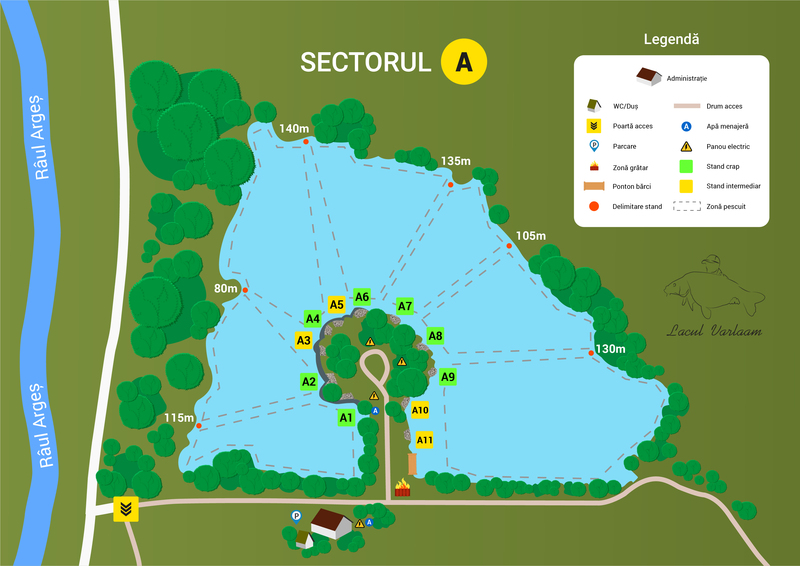 Sector A has 11 (eleven) large well spaced swims dotted around a scenic peninsula with overhanging trees which streches out in the middle of the lake. See attached map. The swims have been positioned so that everyone is fishing from one bank. There are no swims on the opposing banks and everybody has plenty of space and can fish without being bothered by neighbours. All swims give anglers loads of options on where and how to fish. There are plenty of reeds, rushes, overhanging trees, bays, shelves, slopes, gravel bars, deep holes, silt beds and even a sunken island. To avoid overcrowding the management only allows a maximum of 7 (seven) swims being fished at the same time. 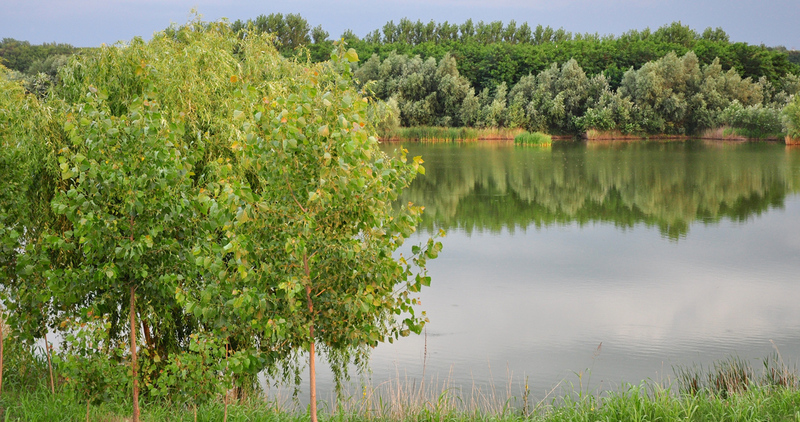 All swims are surrounded by young poplar trees and willows so you can relax in the shade during the summer. All swims are large enough to accommodate any 2 Man bivvies. Have a look at the videos in the video section to get an idea. 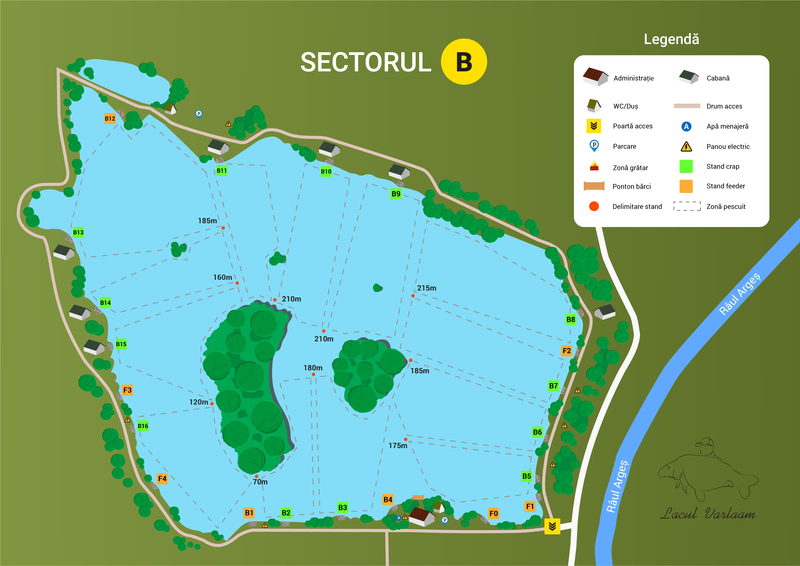 Sector B has 16 swims, some of which are large enough to accommodate two anglers with up to eight rods. The swims are very comfortable and many of them are tree lined and can provide shade in the summer. Each swim has acces to a wide expanse of water - at least 1ha, but often much more. The facilities - showers & toilets - are sited just 150m away from Sector A and are clean, well equipped and spacious. There's electricity and water (from a well) on Sector A and the bailiffs can help with recharging your batteries. All swims on Sector B have electricity too. A large well-stocked supermarket is only 5km away (10 minutes drive) from the venue. Some local takeaways will even deliver to the lake.